The objective of CPC 1000 is to provide boaters with the knowledge and skills necessary to become safer, more confident and competent mariners. This course concentrates on the fundamental seamanship, navigation and boat handling skills essential to every boater and is the first step toward the more advanced CPC certification levels. 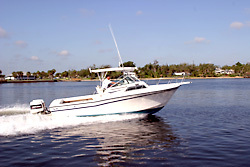 If you are new to boating, CPC 1000 is the ideal starting place. Whether you own your own boat or simply want to become a competent "crew” member, Chapman School’s proven, "Learn at the Helm”™ teaching methods enable you to develop your skills and abilities quickly. The classroom elements are combined with hands-on, practical instruction while underway aboard a Chapman School training vessel. If you have "on the water” experience, CPC 1000 is a great way to expand your knowledge. And, in addition to improving existing abilities under the guidance of professional, US Coast Guard licensed instructors, your skill level will be officially certified by the internationally renowned Chapman School of Seamanship. 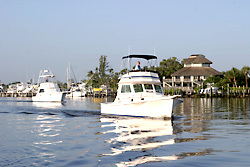 Certification may entitle you to discounts on your vessel insurance. 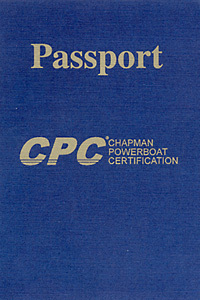 CPC 1000 is a prerequisite for the more advanced levels of the Chapman Powerboat Certification program series. Seamanship & Safety (8 hours) - Includes seamanship under power, boating laws and regulations, operating your boat safely, marlinspike and line handling. Navigation (6 hours) - Includes aids to navigation, basic chart navigation and an introduction to plotting tools and dead reckoning. Intro to Boat Maintenance (2 hours) - Includes procedures for conducting a pre-departure vessel check out and an overview of routine and preventive vessel maintenance. Introduction to Marine Electronics (2 hours) - Includes how to use a marine VHF radio, depth sounder and GPS unit (Global Positioning System). Boat Handling (12 hours) - Underway boat handling exercises including docking bow and stern first in a protected slip, backing down 100 yards in a narrow channel, coming alongside a facing pier, both port and starboard (e.g., a fuel dock), 360 degree turns in tight quarters, identifying and using aids to navigation (underway) and correct procedures for anchoring along with an anchoring exercise. Persons attending the 5 day program must be at least 15 years of age or older and in good health. Each student must submit a Registration Form completed and signed (by a parent or guardian if under 18). Students must have an official photo ID on the first day of class. Each student is required to furnish his/her own deck shoes. This course requires a minimum of three students. Should you be the only student in the class requesting a particular vessel type, such as IO, you will receive private hands-on underway instruction on a six-hour schedule. The Registration Form must be completed and signed (by a parent or guardian if the applicant is younger than 18) and returned to the Chapman School along with the $200 non-refundable deposit. The Chapman School accepts Discover, Visa, Master Card of American Express. If the application for Registration is not accepted by the School, all payments made by the applicant will be refunded. Where notice is provided to the School greater than 3 business days before the start of class to transfer registration to a different class start date a $50.00 administrative change fee will apply. Where notice is provided to the School greater than 3 business days before the start of class to cancel registration, the applicant will be obligated for the non-refundable tuition deposit or non refundable tuition. Where notice is provided to the School less than 3 business days before the start of class to transfer or cancel registration; or if the applicant does not arrive for the scheduled class; or if the applicant wishes to withdraw from class once classes have begun, the applicant may be obligated for the full amount of the tuition. If you are travelling to the School from outside of Florida we strongly suggest you purchase refundable air fares, or arrange trip cancellation insurance. Campus housing consists of dormitory apartments. Each unit contains a bedroom, convertible living room/bedroom, bath, kitchenette and a covered porch. The number of students per unit during this program is a maximum of two. All units are air-conditioned, fully furnished and equipped with refrigerator, counter top range and cooking utensils. Housing is offered on a space available basis. The School is not responsible for the loss of any personal property. Sorry, no pets. Housing Fee....$60.00 per night 1st person. For a second or third person in the party add $20 per night/per person. Housing fee includes utilities. Housing Fee is due with the Registration Form 10 days prior to the start of class to reserve accommodations. If a student cannot attend the class in which he or she is registered, housing fees are refundable. Once a student moves into the facilities, no fees will be refunded. In the event any student does damage to the accommodations, he or she will be responsible for the replacement cost and labor required to repair the damaged Chapman School property. All students who successfully complete the program will be awarded a "Certificate of Completion” from the Chapman School of Seamanship. CPC 1000 certification will be awarded to students who pass the CPC written exam and boat handling skills test given at the conclusion of the program. CPC 1000 certification also earns a student his or her NASBLA "Boating Safety Identification Card” required of certain boaters by most states. A student may opt to take only the NASBLA 75 question written exam and, with a score of 80% or higher, he or she will earn their NASBLA certification.